Neljapäeval, 14. veebruaril kell 17.30 avatakse Tartu Kunstimaja väikeses galeriis Albert Gulgi 50. juubelit tähistav isikunäitus „Suurte liblikate öö”. Krista Piirimäe. Albert Gulgi sürrealistlikud figuurid, Sirp, 1. märts 2019. 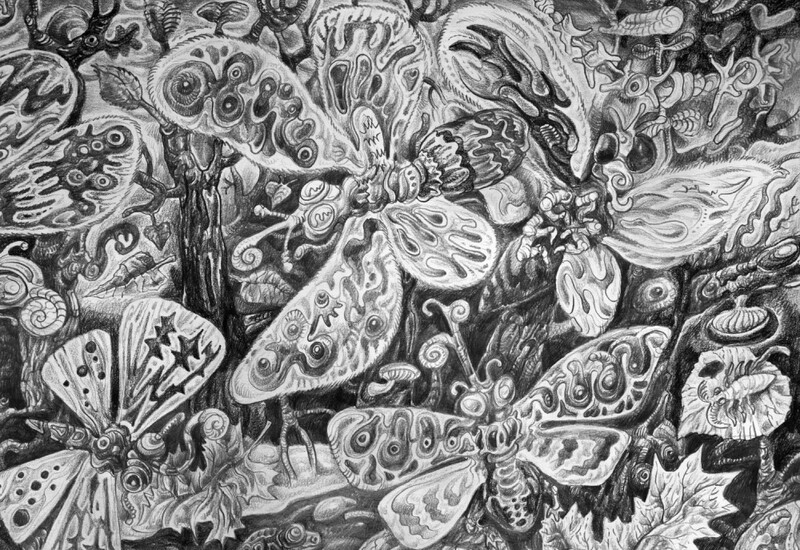 On Thursday, 14 February at 5.30 p.m. Albert Gulk’s 50th anniversary exhibition “The Night of the Large Butterflies” will be opened in the small gallery of the Tartu Art House. Gulk himself has said that his direct inspiration does not come from dreams because they are too absurd and gloomy. Therefore he tries to depict optimism and cheerfulness and the surrealism in his works is actually based on a sharply wakeful consciousness. During the exhibition a pocket book of Gulk’s oeuvre will be published.